GOOD point! Finding out what you like is sometimes half the battle. 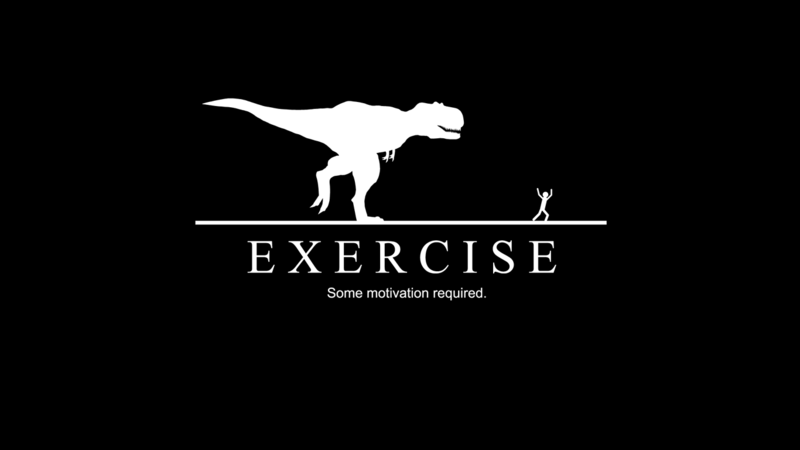 There are a lot of things I struggle to find motivation for. I hear ya. I definitely work out because I want to. I love it. I love the sweat, the movement, and the challenge. I like feeling strong and confident . . . and also I like the social aspects of it. I enjoy going to a gym and the friends that I have there. Michelle @ Eat Move Balance recently posted..Love Caramelized Onions! I like that. I love the challenge too. Pushing myself, succeeding…it’s intoxicating! I go to the gym because I have to but I leave happy that I went. It helps going around the same time every day. Although you may not know anyone at the gym, you recognize the regulars at your time. I feel some accountability to the regulars, strange as that sounds. Something that I’ve noticed in the past year is that my good days are the ones where I’ve exercised. I have young children and I think I need my gym time to work out my frustrations and think. 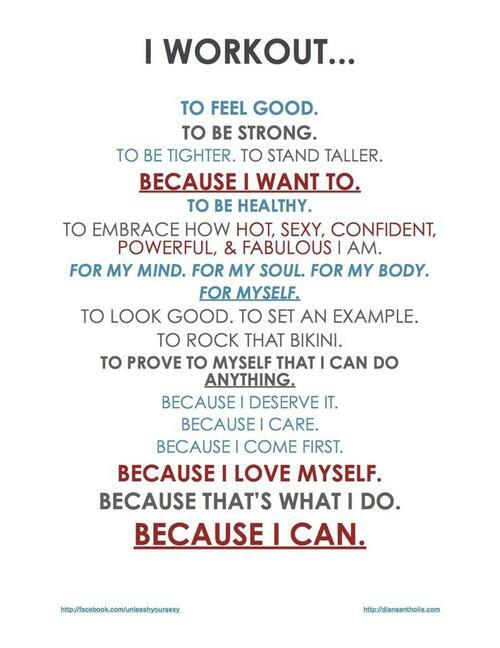 “I go to the gym because I have to but I leave happy that I went.” <---I like this! I agree. Yes, I don't KNOW the regulars but I recognize them because they are there when I am. At some point I should probably be friendly and say hi but...I'm too focused on working out. LOL Glad you found a stress-reliever. Both for me 🙂 Depends on the day! You know, sometimes I have those days. Last night was one of those days. Most days I choose exercises I love doing so I will want to do it. But some days I am tired, cranky, had a long day at work and that because I have to keeps me from just going home crawling into PJ’s and eating all the chocolate I can find. THOSE days are hard to resist! I used to workout because I felt like I had to. Now it really is because I want to. When I can’t because of weather or injury, I honestly miss it. I love the poll idea – I’m going to copy that! You should! The poll was really easy to create and I love seeing everyone’s votes. Great post, Lisa! I’m not surprised that most people voted on “A Little Of Both”. I know I enjoy working out a lot, especially when I see results, but I definitely have to work out to keep myself mentally and physically able to tackle everyday stresses, and for weight management. It’s a lifestyle change to be able to motivate yourself to work out on a regular basis, and although it’s not something I want to do every day – Fridays, for example, I really don’t want to work out after a long day’s work – it’s something that will need to be a part of my life for the rest of it! True! Fridays are usually my swim or yoga nights because by the end of the week I’m feeling tired and not up for much. Those activities help me relax. It’s interesting, I’ve never thought of working out as ‘having to’. I guess when I’m feeling groggy and I ‘have to’, it’s because in the long run I want to, so I don’t think of it in terms of a chore – for me it’s freedom. I love all those reasons to work out (that image in the middle), have a wonderful day Lisa! Yes, with running it never felt like a chore for me. It felt like a challenge and a chance to run “Free” outside!